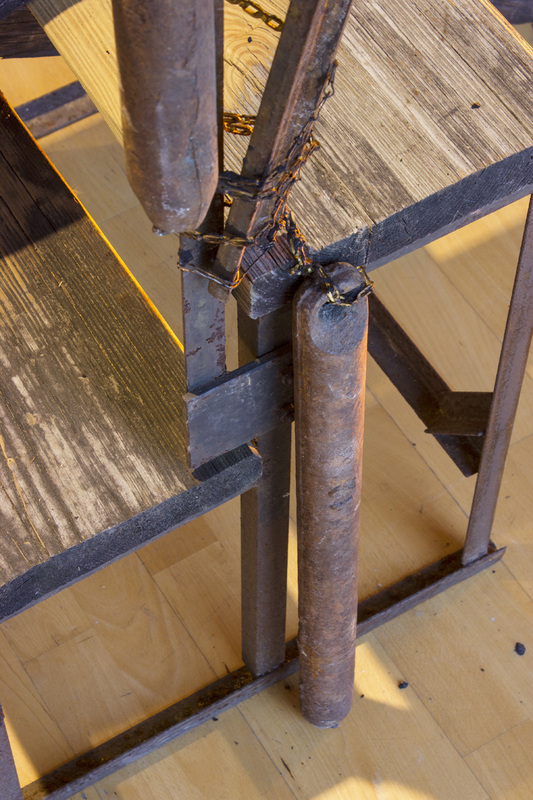 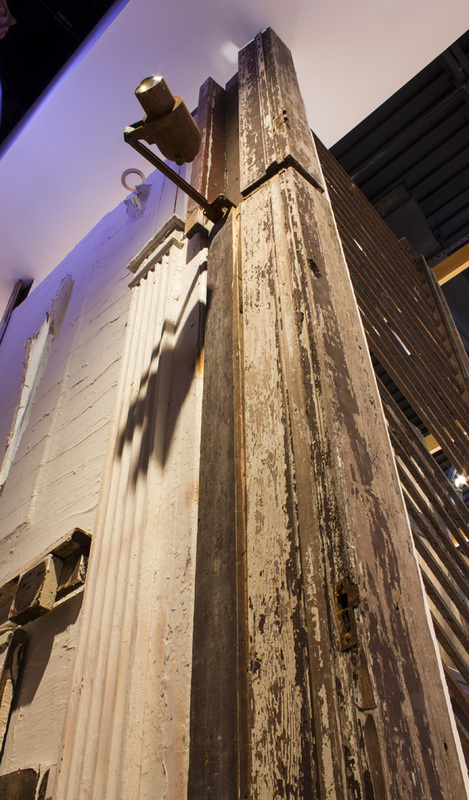 Why Standing is Not so Simple was realized while working with architectural salvage experts in a 200 mile radius. 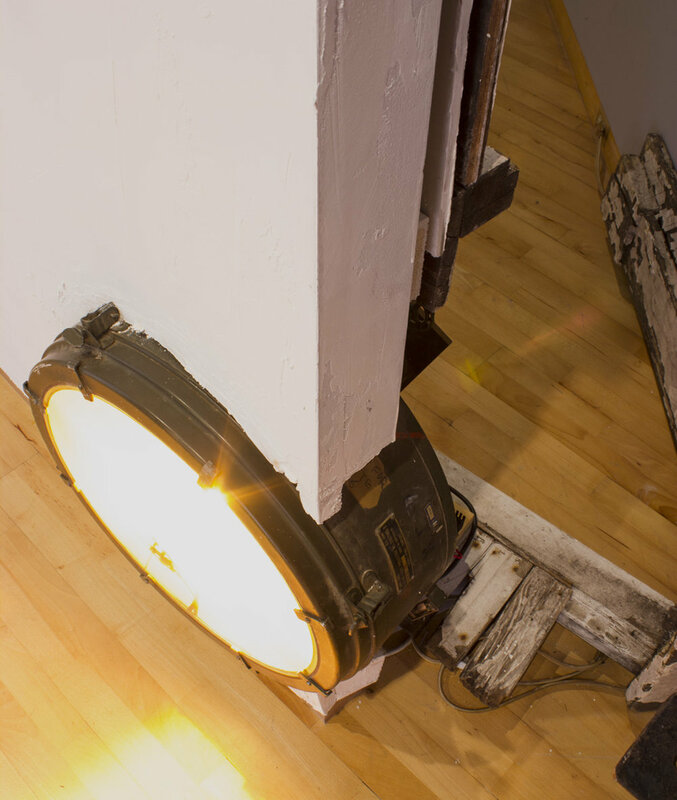 The materials for the project were donated and borrowed: scraps, damaged wood, metal, lighting fixtures, incomplete sets. 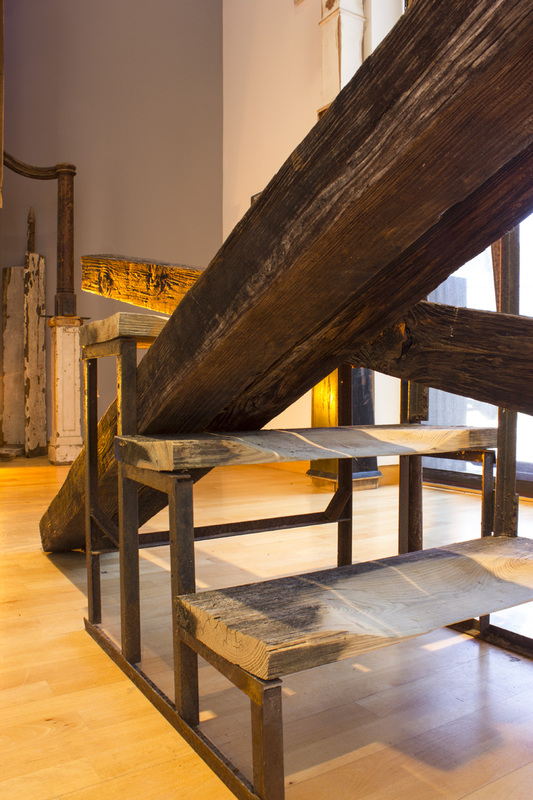 The project reclaimed cast aside parts with the intention of developing an environment that referenced the structural ruins of a home interior. 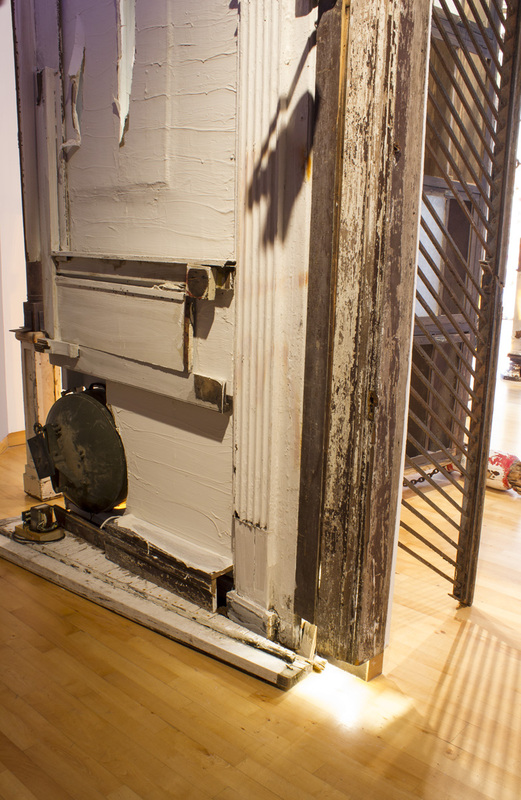 Stacked and suspended large cabinets formed walls, archways and columns for the viewer to navigate within. 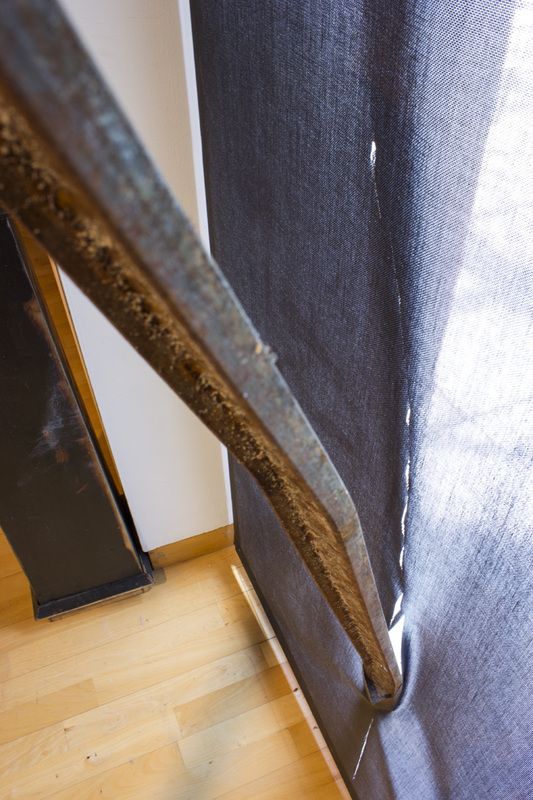 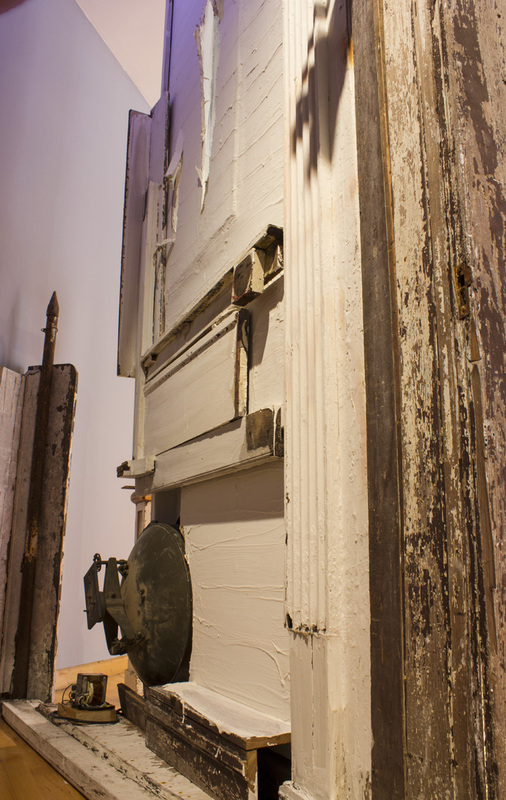 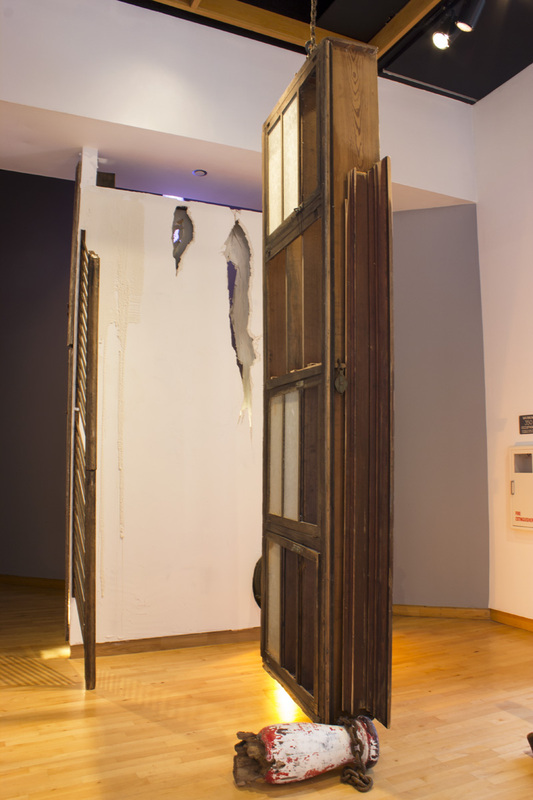 Objects were incorporated into the existing architecture of the museum: holes cut into walls, light fixtures embedded, metal bars bent into the window covering. 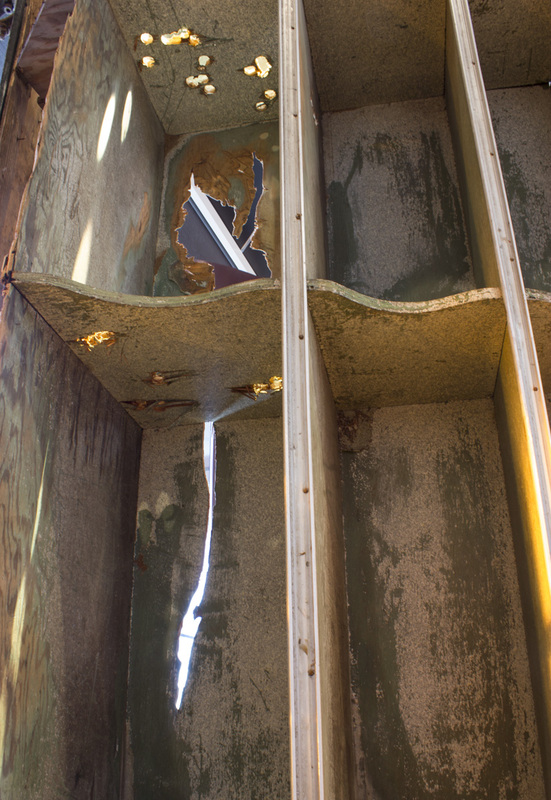 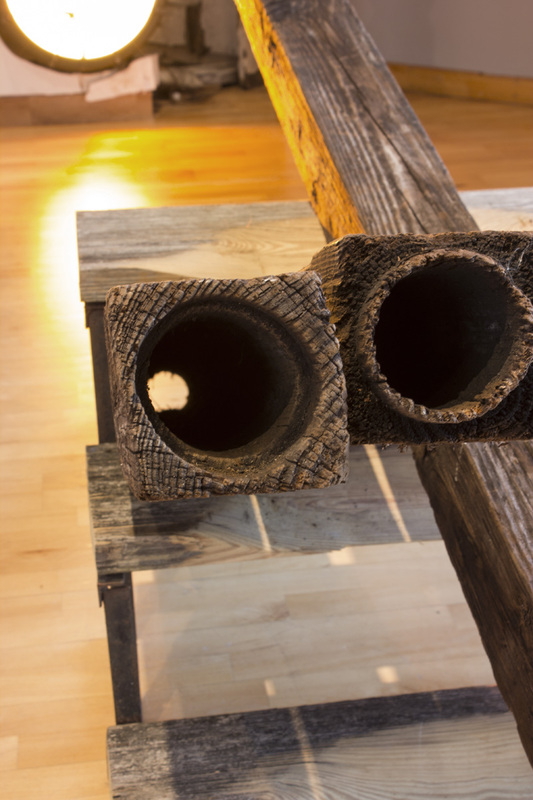 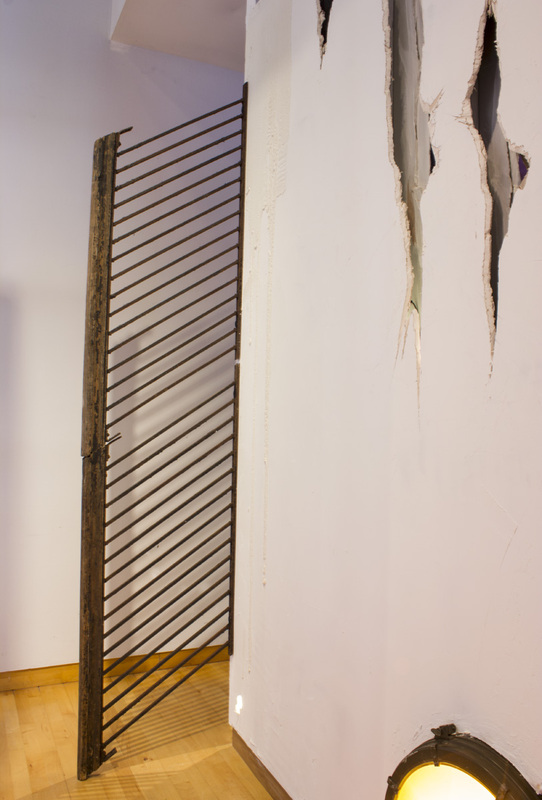 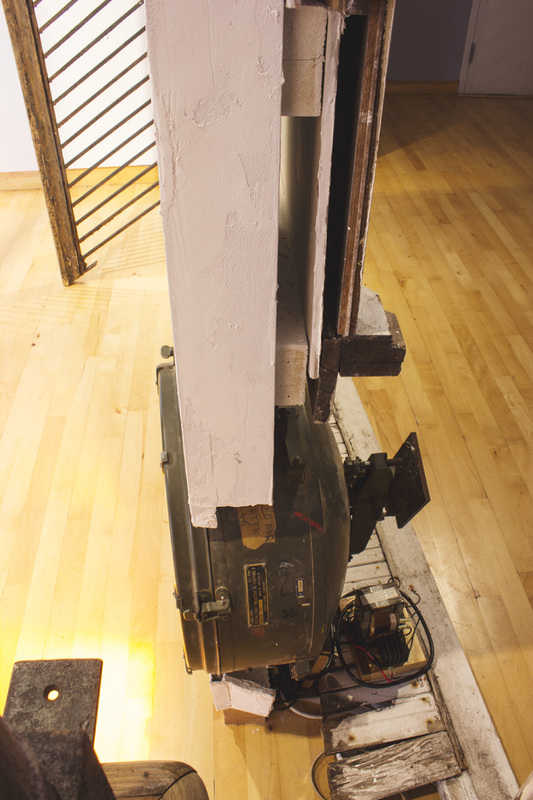 The installation gave reference to the precarious nature of decay and structural ruins.